Fresh new promotional merchandise in Australia online for you to buy. New promotional Items for sale here... 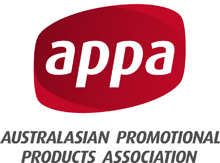 Custom printed promotional merchandise in Australia. Promotional items custom decorated cheap and fast. Every business is always looking for something new and innovative to set their brand apart, and with Vivid Promotions’ range of New Merchandise we have just the thing for your next event. Each week Vivid Promotions adds new items to our website to ensure we always have the best products on hand for your business. Some items may have new colour options or new decoration options and other promotional products are brand new to our range and we just love showing them off! Whether it’s a Promotional Drink Bottle, Promotional USB Stick, Custom Printed Beanie, Hand Sanitiser Product or a Phone Charger, we’re sure to have something for just about any promotion or campaign. All of our NEW Promotional Products can be customised with your business logo or details and can be colour matched to suit your corporate image. If you’re not sure on which way to go, simply contact our friendly sales team and they can help suggest a suitable product that will make your brand stand out from the rest. Keeping you up to date with the latest trends is what we do best so check back through this category each week and see what we have on offer!